New Cumberland Auto Parts (NCAP) has been a quality, family-owned business since 1971. NCAP has served the local community and East Coast for over 45 years, but we ship parts nationwide. 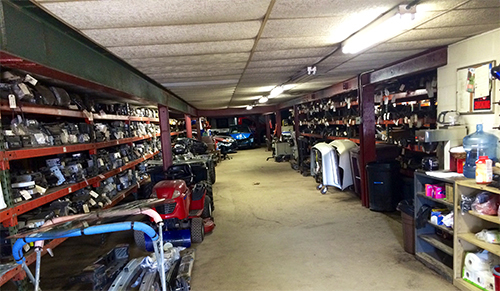 With a complete selection of quality used auto parts, we sell all makes and models, foreign and domestic. We also specialize in late model parts. With the largest yard and selection in the local area, our goal is customer satisfaction. Quality is our priority, shown by our outstanding A rating from the Better Business Bureau (BBB). We are also dedicated to our community and continue to support local charities, sports teams, schools, and non profit organizations, inclusive of Please Live and West Shore Athletics. If you do not find what you are looking for, please do not hesitate to contact us and we will do our best to meet your needs. To make a payment, please download and fill out our payment form. Please email completed form to ncap13k@hotmail.com. Please Click Here To Download Form.